Invisalign, the CLEAR way to straighten teeth without using conventional metal wire braces. 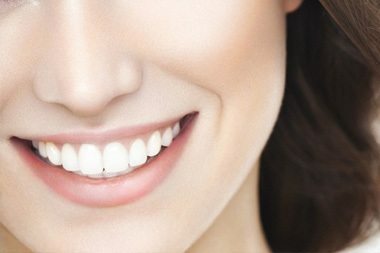 By using a series of clear, virtually invisible aligners you can improve your smile. Because aligners are removable, you can still eat and drink as well as brush and floss as you normally do. * 85% less appointment time in the office for treatment appointments. Series of clear, removable custom-fitted aligners that gradually and gently straighten your teeth. Removable so you can eat ad clean your teeth as you normally do. Treatment time averages 6-12 months. * No wire, metal or brackets. Dr. Howard was chosen as one of the four national finalists at the Invisalign Ortho Summit 2011 in Las Vegas, placing second in the national competition for the best complex Invisalign Case of the Year. He was also awarded inclusion into the 2011 Invisalign Gallery for best combination Cosmetic and Restorative Dentistry involving Invisalign orthodontics. In 2013 Dr. Howard was selected to be one of the six national judges for the national Invisalign Ortho Summit competition in Las Vegas. For residents of Troy, AL, Dothan and Montgomery, Invisalign preferred provider Classic Smiles is the place to go for this innovative treatment. We can help you straighten your smile comfortably! In past years, people usually didn’t look forward to the process of having their teeth straightened. The traditional methods for decades were either a full set of metal braces, headgear, or some type of retainer. They could range from uncomfortable to downright painful, and sometimes it took 2 years or more to get the desired results. Enter Invisalign: Since 1999, this treatment has made teeth straightening a pleasure instead of a pain. At Classic Smiles, we’re fully trained and certified in Invisalign, and we’ve been providing this service successfully to patients for years. When you come to us for this treatment, we take molds of your teeth and then have a set of clear plastic aligners custom-made for you. You’ll wear each aligner for about 2 weeks, and each one will gently move your teeth a little more until everything is in the desired alignment. This treatment generally only takes about 6 months to a year to complete. The aligners are barely visible when they’re on, and they’re also easily removable for eating, brushing, and flossing. It’s no wonder more people are choosing it! If you’re interested in Troy, AL Invisalign treatment, you need look no further than Classic Smiles. Dr. Robert J. Howard’s work changes lives and self esteem, he doesn’t just fix teeth! Our hours are 8am to 5pm Monday through Thursday, and we accept Mastercard, Discover, Visa, American Express, and personal check. Don’t wait for your new smile; call us today!